Demonstration of the top half of the Wearable Iron Man Mark 47 Armor in (Spider Man Homecoming) & Iron Man Mark 46 Armor in (Captain America Civil War)! We are one another step closer to see the full body effect of our Movie-accurate Iron Man Mark 47 Armor in (Spider Man Homecoming) & Iron Man Mark 46 Armor in (Captain America Civil War)! 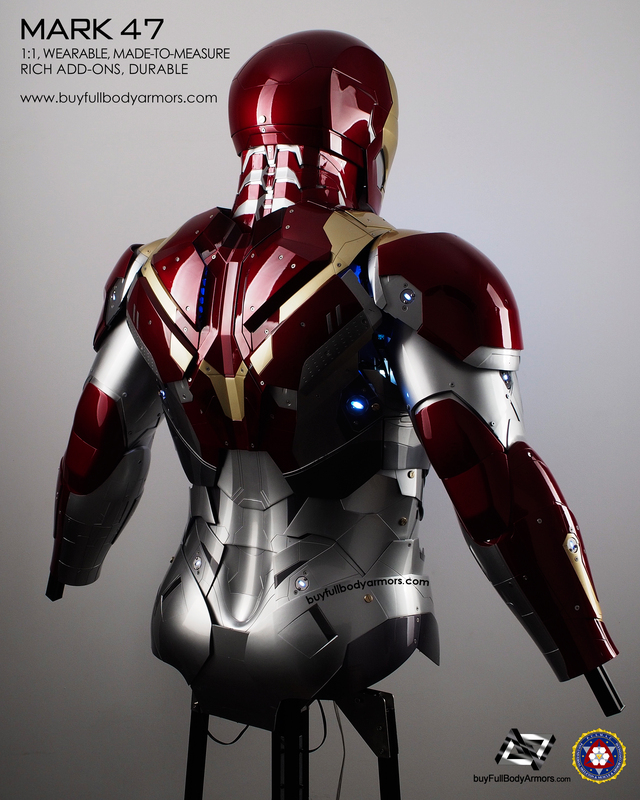 A brand new designed waist structure is applied in this ultra-realistic armor costume. Instead of the 4 layers structure we used to use, now the Mark 47 suit's waist has all it's pieces independently connected. Which allows a greater fit on the wearer's body and achieve an astonishing interact with your waist's movement. 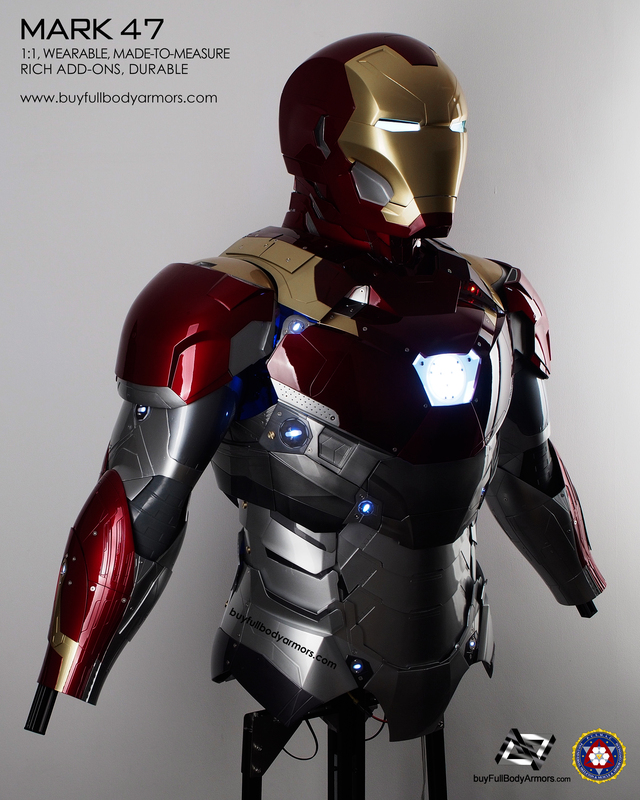 Now our ultra realistic wearable Mark 46/47 armor costume are open for orders on mk47.buyfullbodyarmors.com Go check it out!